Check out Tobi's Drizzle Down Tassel Earrings Need a splash of color with that bodycon? We got you. 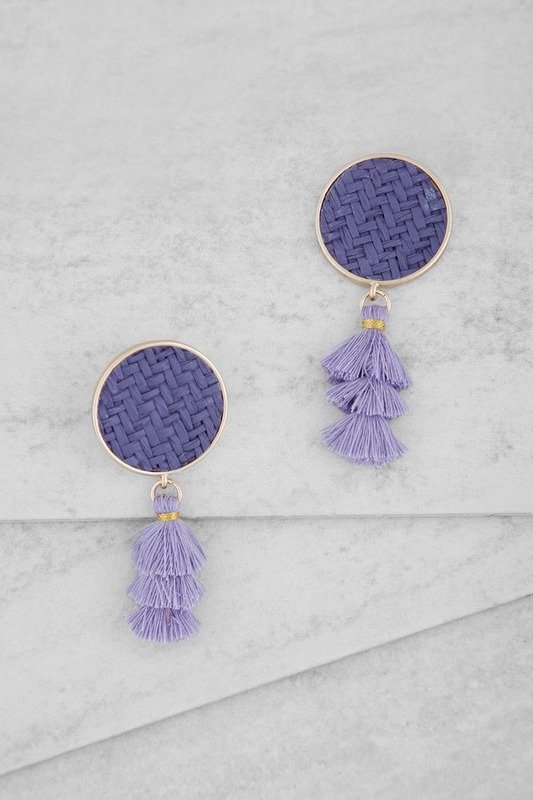 The Purple Drizzle Down Tassel Earrings feature large gold rimmed discs with a vibrant zig zag weave inside, complete with matching tassels. 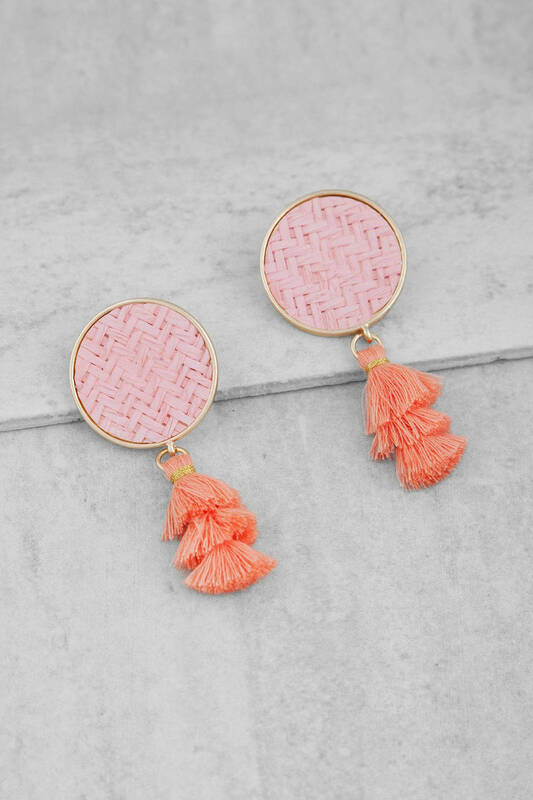 Add these statement earrings to an evening dress or just whenever you're feeling fancy. Need a splash of color with that bodycon? We got you. The Purple Drizzle Down Tassel Earrings feature large gold rimmed discs with a vibrant zig zag weave inside, complete with matching tassels. Add these statement earrings to an evening dress or just whenever you're feeling fancy. Need a splash of color with that bodycon? We got you. 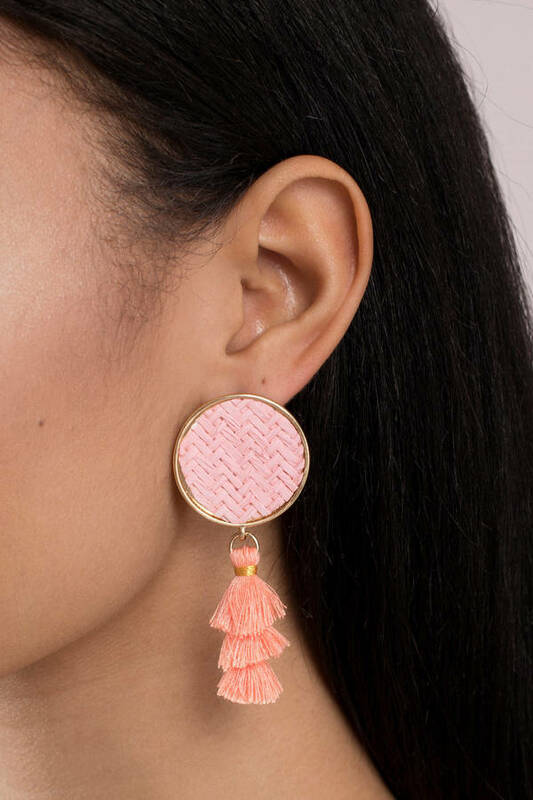 The Pink Drizzle Down Tassel Earrings feature large gold rimmed discs with a vibrant zig zag weave inside, complete with matching tassels. Add these statement earrings to an evening dress or just whenever you're feeling fancy.